Last Monday, I figured I would check out Kandahar Kabab and compare my experience here with the one I had at Bamiyan Kabob. Kandahar Kabab has been open for about seven months now, and it is located across the street from Bamiyan Kabob in a different mini-mall. I don’t see the point of two Afghani restaurants in one area, but nothing makes sense here because there is almost double or triple of everything in the vicinity. 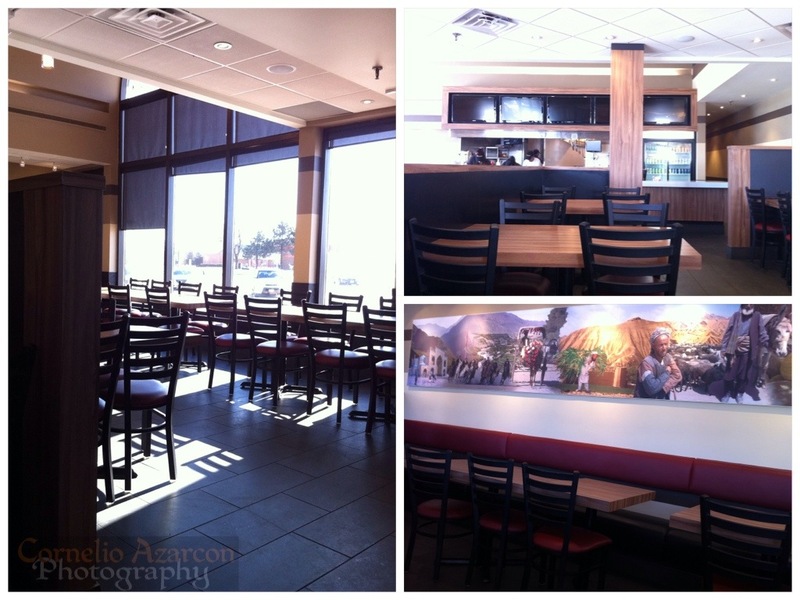 Upon entering the restaurant, I admired the design and layout, as well as the contrasting dark and light wood colours. Similar to Bamiyan Kabob, you have to place your order at the counter. The menus at Kandahar Kabab are displayed on multiple TV screens at the counter, which I thought was quite fancy. 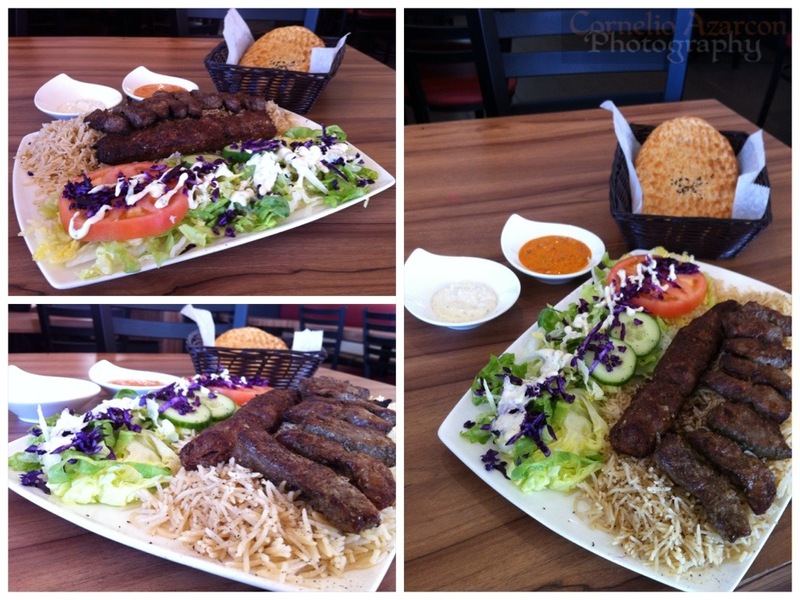 I placed my order, which was the Sultani Kabab plate ($12.99) with dough ($1.99) to drink. Same meal I had at Bamiyan Kabab. I thought it would be best to do a head-to-head comparison of both meals. It took about 25 minutes to get my order, but I hoped it was worth it. When I picked up my order, they still hadn’t given me my dough beverage, which they said was going to be given to me in 2 minutes when I ordered my meal. The meal came with brown basmati rice, which was seasoned and very flavourful. The side salad had garlic dressing on it, almost like a Caesar salad dressing.. They also provided 2 sauces compared to Bamiyan’s one hot sauce which was served in a plastic container. Kandahar had a hot sauce and a garlic sauce, both served on saucers/small bowls. The sauces were very flavourful and the hot sauce had a nice kick to it. I was however, disappointed with the kababs as they were dry and over-cooked. After 40 minutes, I finally got my dough drink. I was also disappointed with the way they made this drink. 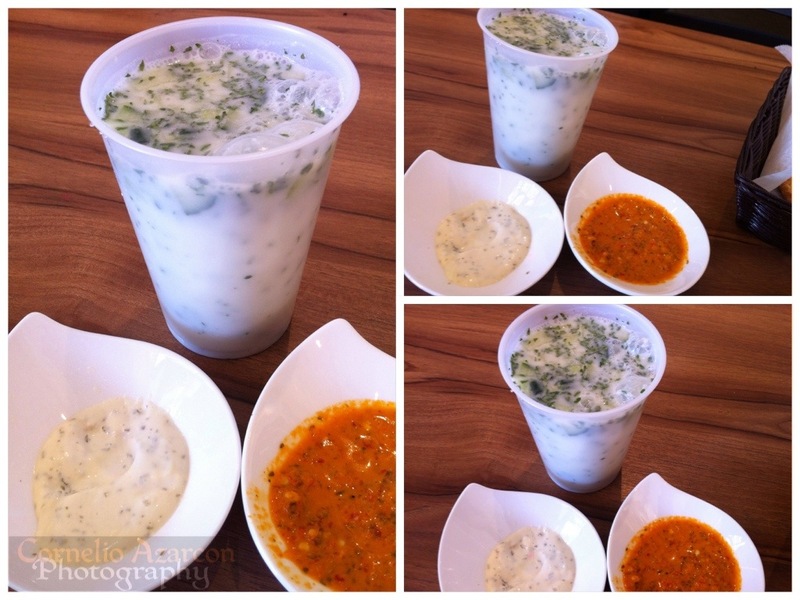 It had more sourness than other yogurt drinks I’ve had, and they added parsley instead of mint. It wasn’t as refreshing a beverage as it is supposed to be. Overall, I was disappointed with my experience. Service was very slow, staff was slightly less friendly, and the food was over-cooked. I’ll give it a few months and maybe check back and see if they have improved. I agree that the staff are not very friendly and if you ask for more of the red sauce, they will first check to see if you completely finished what they initially gave you. We were sharing a meal and we wanted our own sauces because it is not a lot to share between 2 people but they refused. I prefer Bamiyan.